The Great Lone Pine earthquake was one of the largest earthquakes to hit California in recorded history. The quake struck on March 26, 1872 and its epicenter was near Lone Pine, California in Owens Valley. The true size of this earthquake is not known, but historical evidence detailing the damage it caused in settlements and landforms near the epicenter, and the geographic extent to which noticeable movement was felt, leads researchers to estimate a Richter magnitude of 7.6 to 8 or greater — similar in size to the 1906 San Francisco earthquake. The quake hit at 2:35 in the morning and leveled almost all the buildings in Lone Pine and nearby settlements. Of the estimated 250-300 inhabitants of Lone Pine, 27 are known to have perished and 52 of the 59 houses were destroyed. One report states that the main buildings were thrown down in almost every town in Inyo County. About 360 kilometers south of Lone Pine, at Indian Wells, California, adobe houses sustained cracks. Property loss has been estimated at $250,000 (1872 dollars). An earthquake felt from Mexico to Oregon rocks the Owens Valley in California on this day in 1872, killing 30 people. California, with the large San Andreas Fault running through the entire state, is a prime area for earthquakes. At 2:30 a.m. on March 26, a large quake hit Inyo County in the Owens Valley of central California. Worst-hit was Lone Pine, where 52 of the town s 59 homes were destroyed, killing 27 people as they slept. The ground moved a full seven feet horizontally in some places near Lone Pine. Major buildings in every town in Inyo were also seriously damaged. Given the reach of this quake--people hundreds of miles away in Tijuana, Mexico, felt the shaking-- it is estimated that it had a magnitude of 7.8. The most devastating effects of this earthquake occurred at Lone Pine, where 52 of 59 houses (mostly constructed of adobe or stone) were destroyed and 27 people were killed. A few fatalities also were reported in other parts of Owens Valley. One report states that the main buildings were thrown down in almost every town in Inyo County. 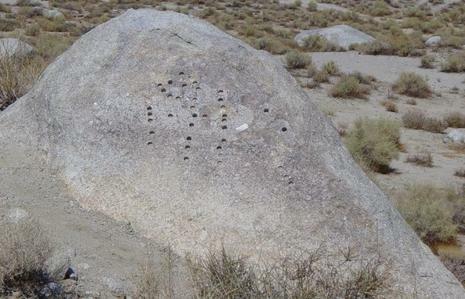 About 100 kilometers south of Lone Pine, at Indian Wells, adobe houses sustained cracks. Property loss has been estimated at $250,000. Faulting occurred on the Owens Valley fault along a line of a few kilometers east of the Sierra Nevada escarpment. 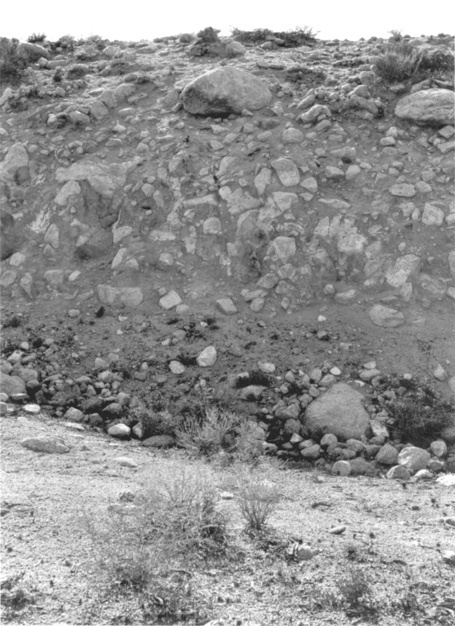 The faulting near Lone Pine involved both dip-slip and right-lateral components of movement. The largest amount of surface deformation was observed between the towns of Lone Pine and Independence, but fault scarps formed along a length of at least 160 kilometers - from Haiwee Reservoir, south of Olancha, to Big Pine; cracks formed in the ground as far north as Bishop.